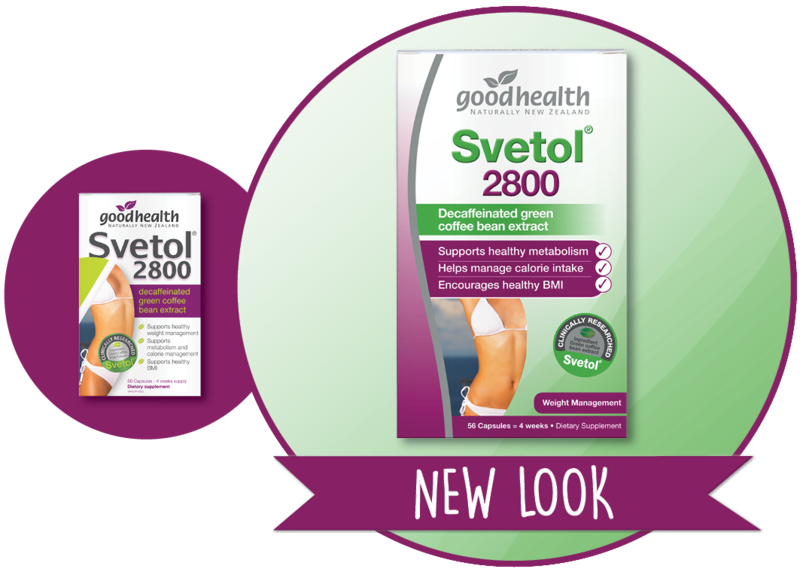 Good Health Svetol® 2800 contains decaffeinated Green Coffee Bean extract which has been clinically researched to support weight and body fat management through supporting healthy blood glucose levels. The active ingredient, Chlorogenic acid, works to support stable sugar levels in the blood and encourages the use of stored fat instead of carbohydrates as the preferred source of fuel. People find diet and exercise alone is not always enough and often hit a plateau in their weight management. Stable blood sugar levels can also support healthy appetite and help manage food cravings.